back to the beginning….grabbing a beer??? 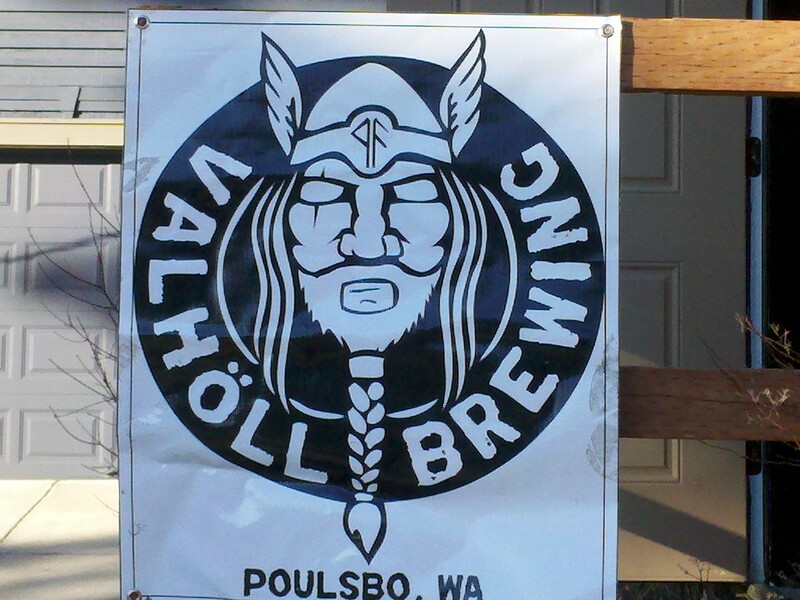 Well they are at a Poulsbo, WA gem…Vahöll Brewing. 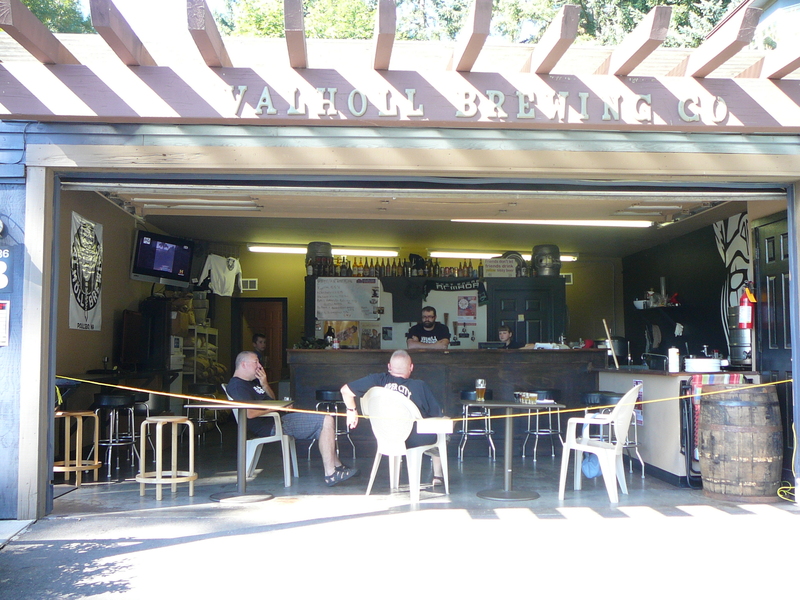 I have wanted to write about Vahöll Brewing for quite some time and last weekend was finally my chance to sit, sample some great beers, and enjoy a chat with the owner, Jeff. The tasting room is open air and cozy. The staff is very friendly and knowledgeable. And hey…there’s a big Viking on the wall! How can you go wrong with the Viking? The beers are fantastic and give me a feel of the old country…well, Poulsbo anyway. Poulsbo Abbey Wit (5.2% ABV) – Light banana clove nose and flavor. Soft spices with a “bubble gum” finish. Light to medium bodied and very easy to drink. Great beer for a hot day. Blackberry Wit (5.0% ABV) – Very clean and fruity. Brewed with fresh blackberries, the fruit is not too overpowering. Sweet but not too sweet. A beer that even the most faithful of hop heads would enjoy! RyPA (5.5% ABV) – My favorite of the day! “Bready” aroma and a lovely hoppy bite. Medium bodied, very clean beer and a crisp finish. I could have had ten of these…ok, maybe five. Bob’s Amarillo Bitter (7.7% ABV) – Merging over into a darker beer, the Bitter is a lovely balance of hops and caramel. White oak is used during the process giving the Bitter a nice “organic” feel. Ægir would certainly indulge in this beauty. Blackberry Stouty (7.0% ABV) – Another favorite of the day was this amazingly sweet yet smoky stout. 2lbs of blackberries were dumped into the mix creating a gorgeous fruity aroma and jammy finish. Dark color, full bodied, and great to share with that special someone. Cove Cherry Rye. I love this brewery and can hardly wait for more of their creative brews. Now I know this is the third blog I have done on breweries in Poulsbo, but trust me, the beer culture here is really taking off. A darling little Norwegian town with a water view, who wouldn’t want to brew here? Information for Vahöll Brewing can be found on facebook. The 3 Poulsbo Breweries(Sound,Slippery Pig and Volholl) are setting up a beer garden at the music fest in the downtown park this weekend!